I will lead bookmaking workshops with magnet (VAPA) English and Art students at Verdugo Hills High School in Tujunga, CA, supported by the Los Angeles Unified School District. 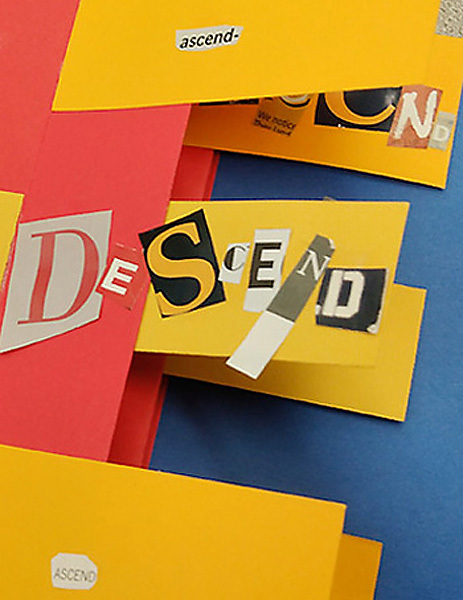 Students will create one-of-kind FLAG BOOKS, and develop them through “found writing” they produce through pulling letters, words and sentences from existing print media sources such as magazines and other books. I will work with Seniors in the VAPA English class, and Freshmen in the VAPA art class. These workshops are for specific VAPA students at Verdugo Hills High School, and will take place in VAPA classes during school hours.